Remotely start your Ford & climate control system: ever jump into your vehicle and find it scorching hot or bitterly cold? Well no more! SYNC Connect allows you to remotely start your vehicle and set the climate control so it’s the perfect temperature when you get in. Set a remote start calendar: if you leave for work at the same time every day, you can use SYNC Connect to set your vehicle to automatically start at a specific time! That way your Ford is always ready when you are. Lock and unlock the doors: you no longer have to fumble with keys, instead use your phone to lock and unlock your Ford’s doors from almost anywhere. Locate your vehicle:- can’t remember where you parked? Don’t worry, this isn’t a Seinfeld episode. Your Ford has an on-board GPS tracker that saves its location every time the vehicle is turned off. That way, you’ll always know exactly where it is! Check vehicle status: wondering how much fuel you have left? Can’t remember your odometer reading? Curious how long until your next service is needed? The SYNC Connect system can tell you in an instant. Wi-Fi Hotspot – now you can truly remain connected wherever you go thanks to a 4G LTE network built directly into your Ford! Up to 10 devices can connect from up to 50 feet away, so all your friends can tap into the internet as well.  Ready to activate Ford’s SYNC Connect system for your vehicle? Just follow these steps and you’ll be connected in no time! Access your FordPass Vehicle Controls card on your smartphone. You can also activate SYNC Connect from the My Vehicles card after a compatible vehicle is added. Depending on whether you are activating more than one vehicle, first choose the vehicle you want to activate. You will be taken directly to the Activate SYNC Connect/FordPass Connect screen. Tap the Activate icon and follow the steps on screen to continue the activation process. Enter the vehicle you want to activate, and start it. Touch Allow on the in-vehicle pop-up that will appear on your touchscreen. Congratulations! After a few minutes you will be able to access your incredible features through the Vehicle Controls card.